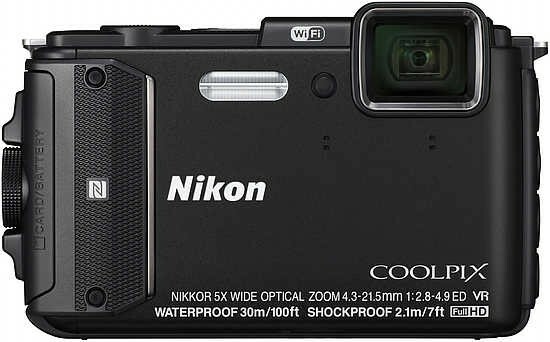 Listed below are some of the rivals of the Nikon Coolpix AW130. The Sony Cyber-shot DSC-TX9 is a slim, stylish and full-featured digital compact camera. The TX9 has a 12 megapixel back-illuminated Exmor-R sensor, 3.5 inch touch-sensitive LCD screen, innovative 3D Sweep Panorama mode, 1080i HD movies with stereo sound, 10fps burst mode, a 4x zoom lens, and an ISO range of 125-3200. Read our in-depth Sony TX9 review to find out if it can justify its £380 / $399 price-tag.